Where We Were a Month Ago! I’m not sure what happened to October – it’s almost over! It took me forever just to get the pictures off my camera, but here is a belated look back at our 2-week whirlwind trip to the Grand Canyon, Las Vegas for a wedding, and up along the eastern Sierra Nevada and through central Oregon via Hwy 395 – the last 2 weeks of September. 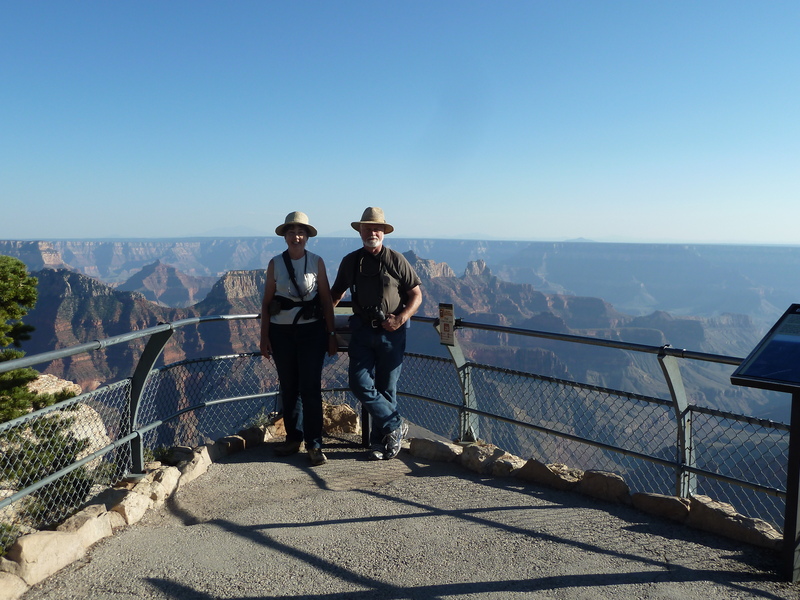 We took only 3 days to get to the North Rim of the Grand Canyon. Not all that bad with 2 of us to drive. We had lots of smoke from forest fires all the way down through SE Washington and into Idaho. But we had beautiful clear weather once we arrived at our destination, although it did get cold at night, which had as much to do with the elevation (6000′ – 8000′) as anything. 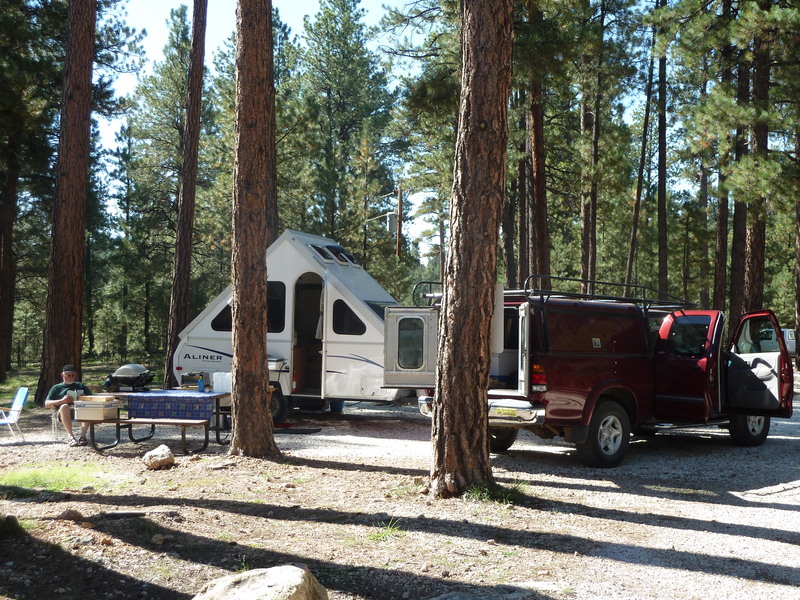 We camped at Jacob Lake in a commercial campground, which turned out to be almost an hour’s drive each day to the scenery and trails at the rim. 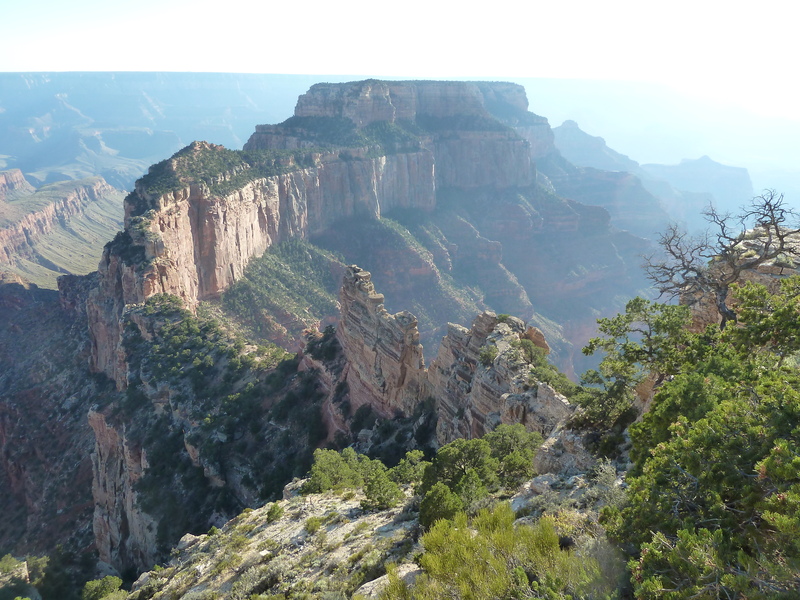 Next time (if there is a next time) we will probably go for the park service North Rim Campground. No water or electric hookups there, but it looked quite nice and has showers, laundry and a basic grocery store. From the Grand Canyon we drove to Las Vegas to attend the wedding of the daughter of some long-time friends (I have known the bride’s mother since the 7th grade). 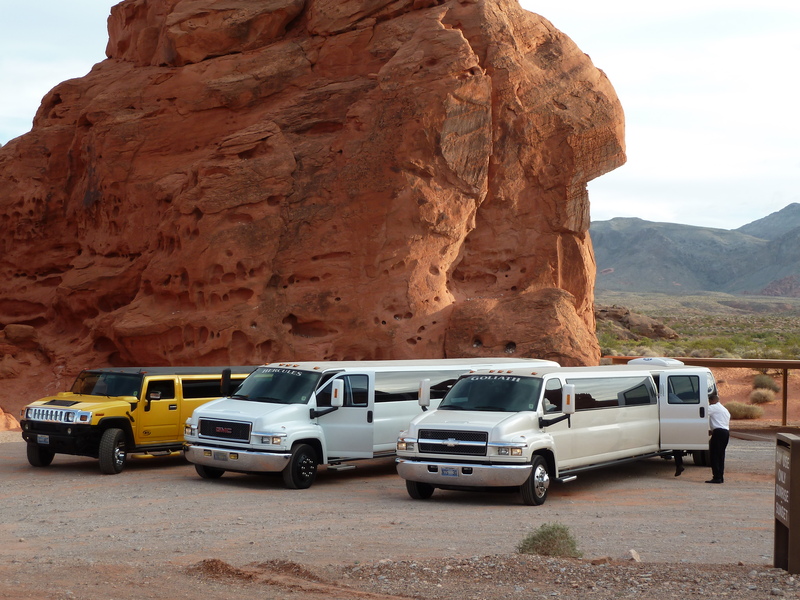 We parked our little trailer at an inexpensive RV park in Las Vegas where we felt it would be safe – and we could hook up to electricity to run the refrigerator and the fan. 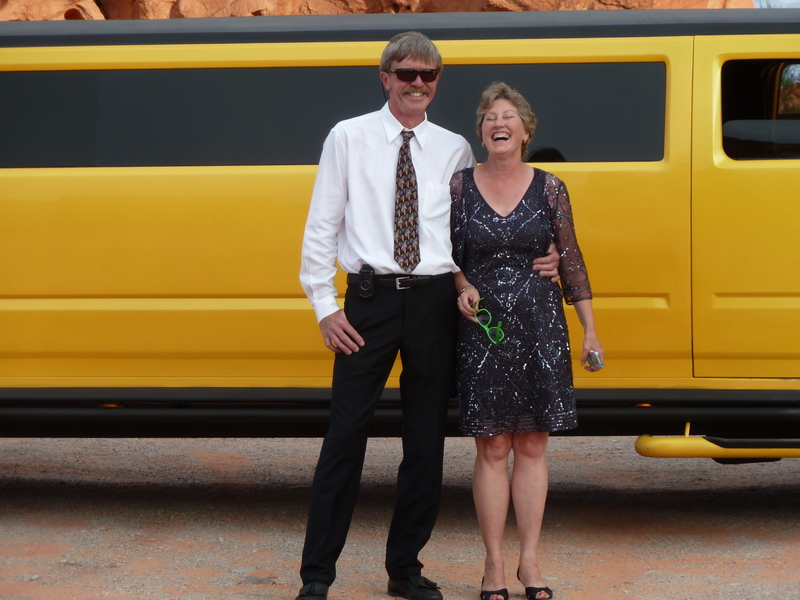 We stayed 3 nights at the Mandalay Bay Hotel & Casino so we could be with our friends and the rest of the wedding party. 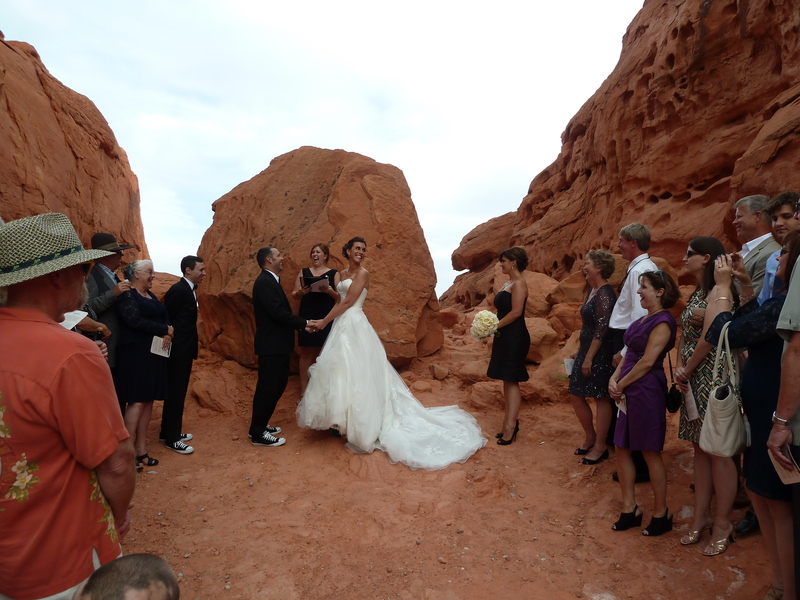 About 55 people actually came down for the wedding, which was held about an hour’s drive east of Las Vegas, at Valley of Fire State Park. Afterwards we returned to Las Vegas for a lovely dinner at The Venetian. 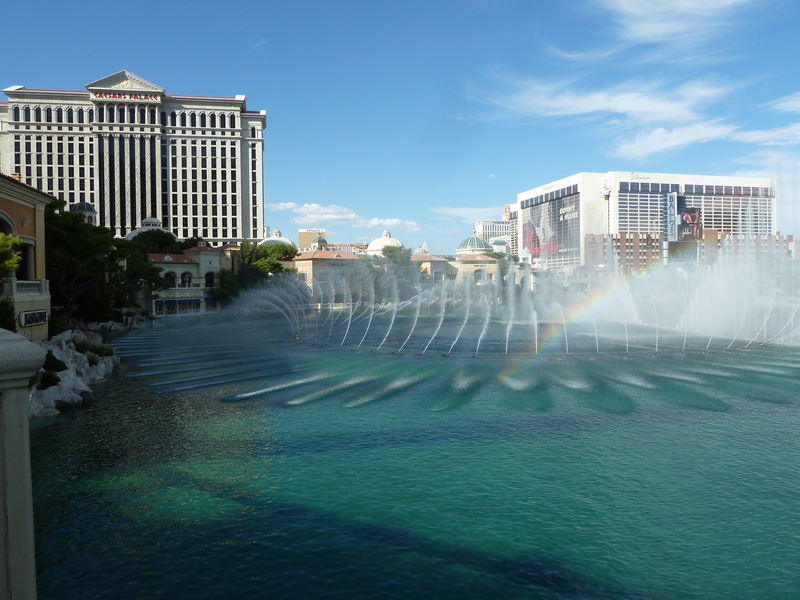 This hotel/casino has an artificial “sky” over the “canal” with real water and gondolas. It was both over-the-top and kind of cool! Our dinner party was on the second floor overlooking the “canal” and you could almost believe you were in Venice. Sorry – no pictures. 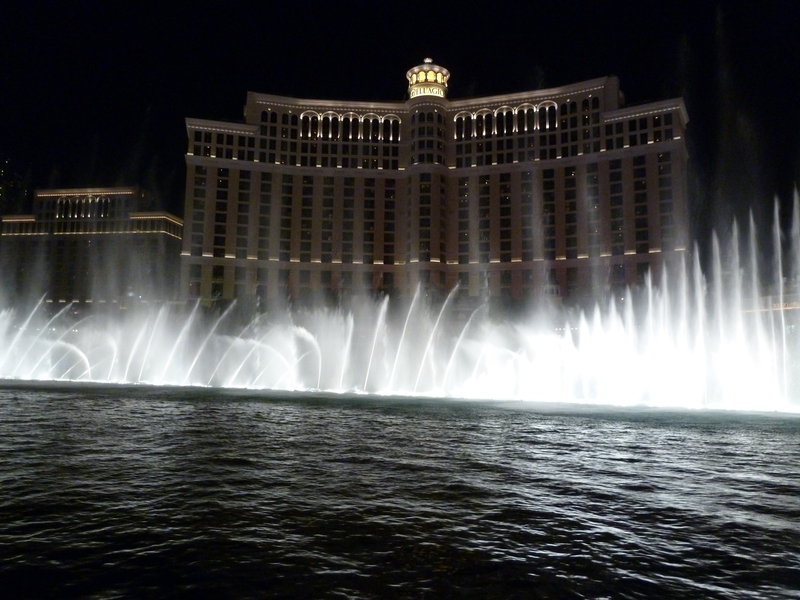 Fountains at night (they play music when the fountains are on – this time it was Elvis singing “Viva Las Vegas”! By Monday we were ready to pick up the trailer and hit the road. The rest of the trip was more or less a whirlwind tour of places we want to go back to, and spend more time. 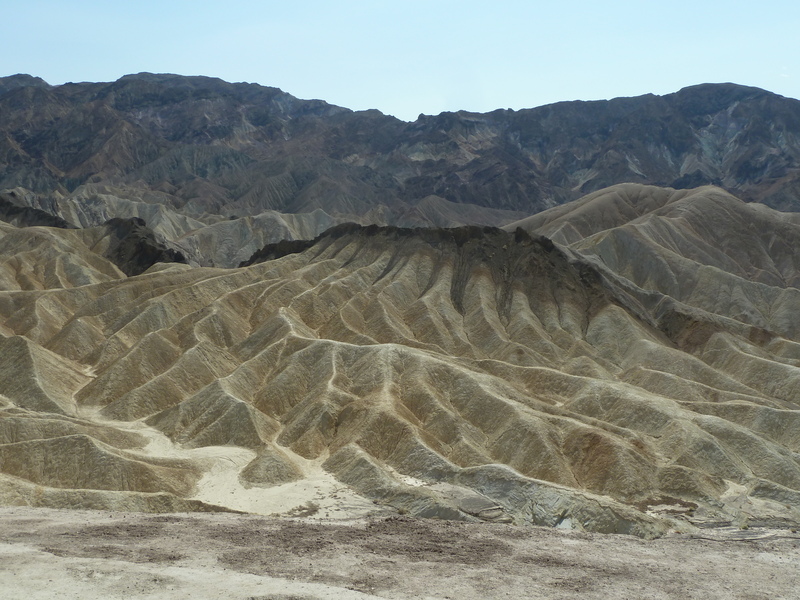 Death Valley – more beautiful than we expected. What a fabulous landscape! but too hot even at the end of September. Best to go back in March or April and do some camping and hiking. 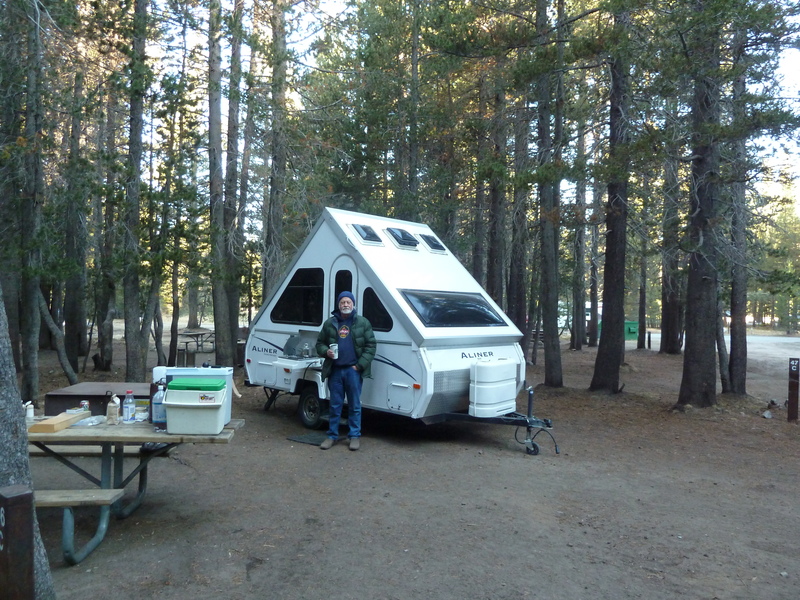 We spent one night up in Yosemite National Park at the Tuolomne Meadows Campground (where we camped many times when I was a child). 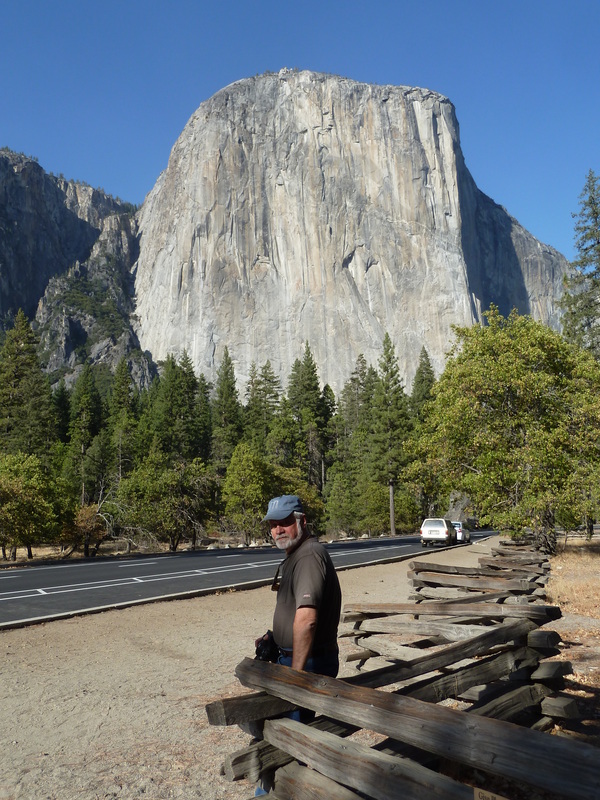 Did a drive through the park and remembered how much we love Yosemite, especially the high country. We will definitely be going back there for at least a week in the next year or two! We spent a couple of nights on the way home at the south end of Malheur National Wildlife Refuge in SE Oregon. This was our third visit there, but we have always gone in the spring to enjoy the bird migrations. 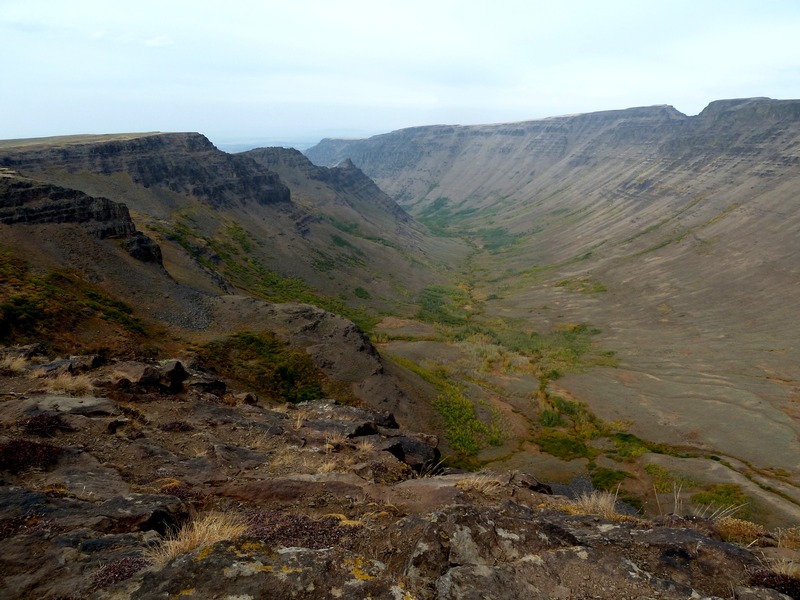 This time we took a day to drive the scenic 50-mile loop on Steens Mountain. This is an uplifted tableland (escarpment) which lifts from west to east. 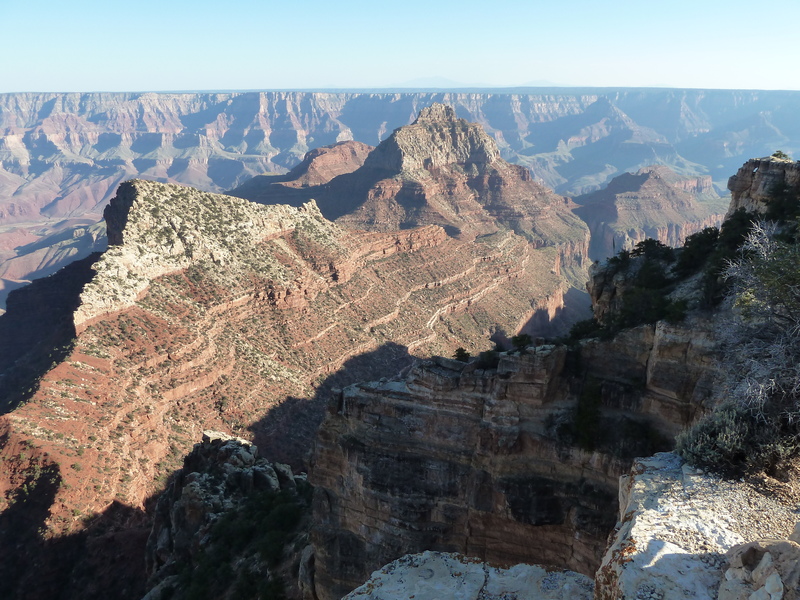 There are numerous deep U-shaped gorges that were formed by glaciation. It is a somewhat austere landscape, but quite beautiful. We saw antelope but not the wild horses that also roam there.